Images courtesy Young Preservationists Association. Which site tops the list on this year’s Top Ten from the Young Preservationist Association? Hint: it’s a place of worship. 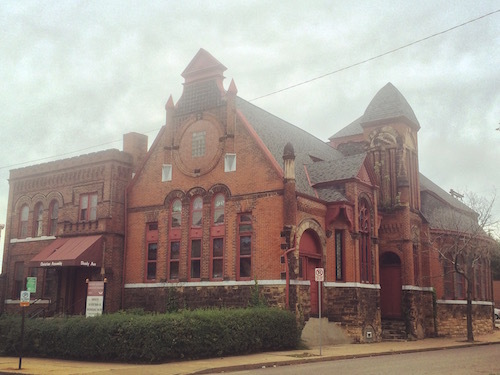 In fact, two churches made the list of Pittsburgh site nominations that also includes a set of Civil War-era commercial buildings, a mansion in severe disrepair and a bridge that is an important connector between two East End neighborhoods. The nominees were announced last night at YPA’s Top Ten event at The Frick Pittsburgh. Although opportunities for preservation include buildings, landscapes and viewsheds, this year’s list also includes the concept of preservation-friendly ordinances. YPA says more preservation-friendly concepts in the city code, such as reducing minimum parking requirements, is important to enhance preservation opportunities in Pittsburgh. “We hope that our list brings attention to the potential of historic sites for reuse and development and encourages people of all ages to be advocates for historic preservation,” says YPA board member Julie Collins. St. John Vianney in Allentown. 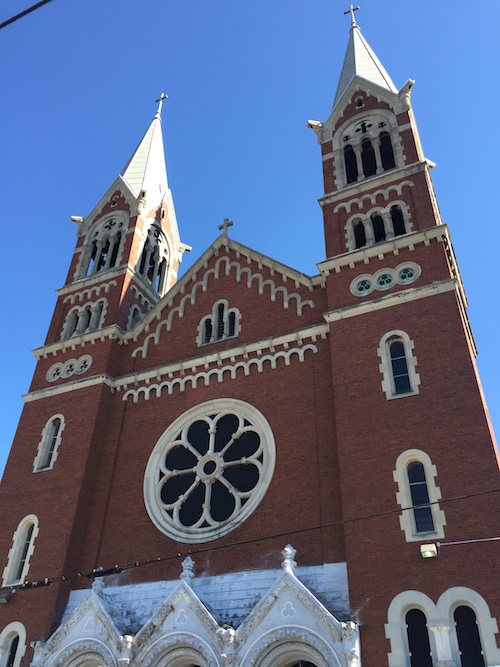 In the heart of the Allentown neighborhood of Pittsburgh stands the magnificent structure of St. John Vianney Church which began its service to the community in 1910 as St. George’s. The church was renamed in a parish merger in the 1990s, and was recently closed by the Diocese of Pittsburgh in April 2016. The St. George Church Preservation Society is working with parishioners, community organizations and local businesses to not only save the building but also to save its place in the local Catholic faith community. They are in contact with the Vatican and the Diocese to appeal the decision to close the church. 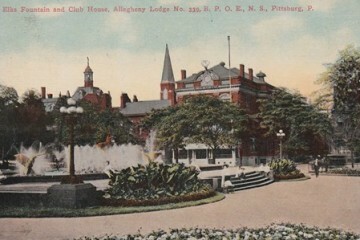 An application is also underway with the Pittsburgh Historic Review Commission to grant historic status to the building. 624-626 East Ohio Street on the Northside. 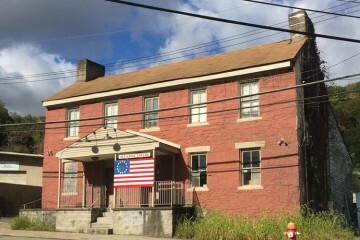 The building at 624-626 East Ohio Street may have been built as early as 1830, making it one of the oldest structures on East Ohio Street in the Deutschtown Historic District. The modest wood frame construction and original façade setback is indicative of pre-Civil War construction that occurred well before East Ohio Street was established as a commercial corridor. 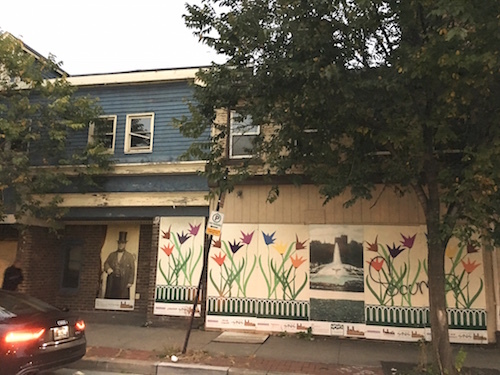 On June 30, 2016, the Urban Redevelopment Authority of Pittsburgh issued a request for redevelopment proposals for 620, 624 and 628 East Ohio Street. 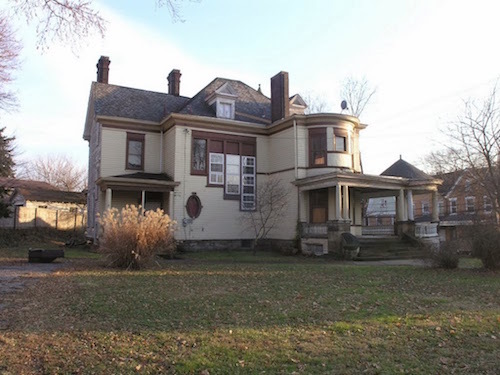 The request states that the preservation of 628 East Ohio Street is “imperative,” but leaves open the option to demolish 620 and 624 East Ohio Street. Former Italian Christian Church in Shadyside. Built in 1898, this church was originally known as the First Cumberland Presbyterian Church, and the structure has connections to Pulitzer Prize-winning author Willa Cather. Founding church members became an inspiration for characters in her famous novels of frontier life on the Great Plains including O Pioneers!, The Song of the Lark and My Antonia. Due to the rapid development of the East End, many historic buildings in the area have been lost or threatened. The church was bought by development company Beatrice Icon LLC in March and is now being advertised as a rental space for commercial use although it remains vacant. 3810 California Avenue in Brighton Heights. The Queen Anne home at 3810 California Avenue in Brighton Heights was built in 1899 by the Dice family on land originally part of holes 4, 5 and 9 of the nine-hole Bellevue Country Club. Condemned in 2005 by the City and sold at a treasurer’s sale in 2006, the house remains at risk for demolition due to its dilapidated condition. The large lot and zoning designation suggest that it is marketable for other development. A concern is that a sale could result in the demolition of this historic structure to make the land available for some other use. 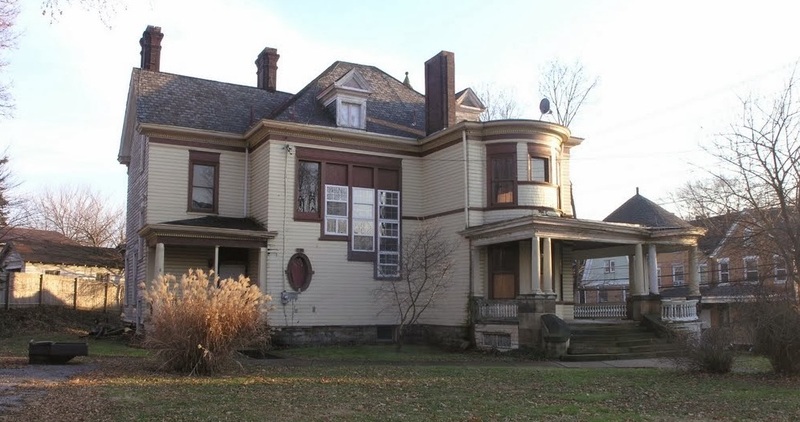 The current owner envisions restoring the property into a five-bedroom suite bed and breakfast. Larimer Avenue Bridge spans Washington Boulevard and connects Larimer to Lincoln-Lemington. The Larimer Avenue Bridge is among the finest and oldest examples of an open-spandrel poured concrete arch bridge within the city limits. 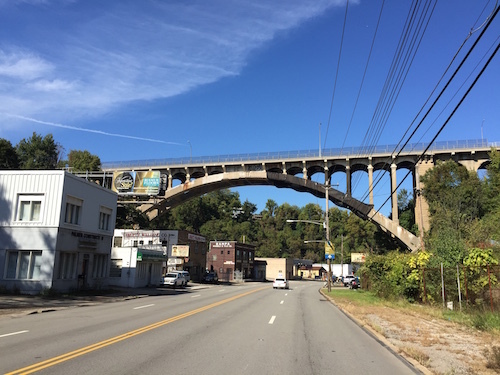 Like so many other concrete arch bridges in Pittsburgh, it is now threatened with demolition. A replacement bridge is not being considered for the site. Demolition of the Larimer Avenue Bridge eliminates a vital connection between two neighborhoods: Larimer and Lincoln-Lemington and would be a loss of a major architectural landmark in the East End. Outside the city, nominees include Shaw Avenue/Millionaire’s Row in McKeesport, The Ekin House in Elizabeth, the West Middletown Historic District in Washington County and the Husler Building in Carnegie. For more information visit the YPA website.